Effortlessly feminine, our triple ruffle sleeve wrap dress is one of our biggest sellers! This dress can be worn in the day and also dressed up at night. 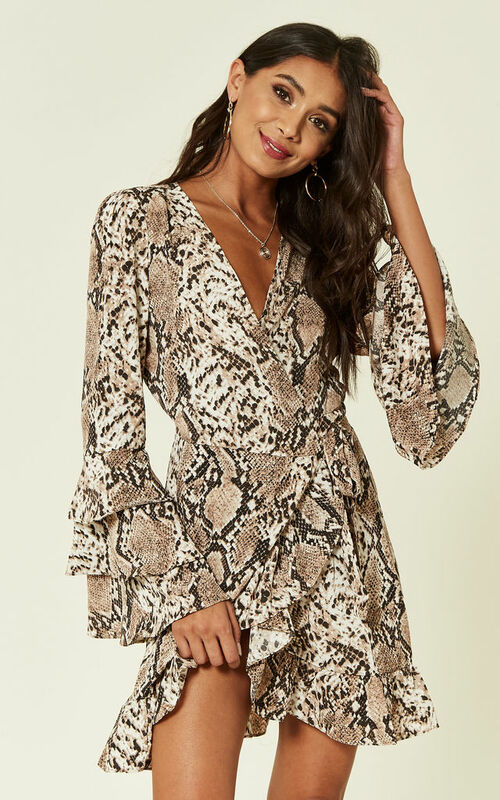 The special sleeve is a gorgeous feature and the snake print with unique colours is bang on trend.